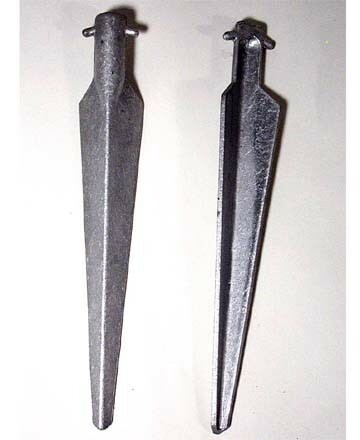 A pair of stakes. NATO Angle V-Stake for general use. Works well in wide variety of soils, including snow, ice and mud. Sturdy, light aluminium construction holds up better than plastic stakes.